Excellent location, really comfortable apartment. You have everything you need inside, especially if you travel with baby as we did. Host met are needs, provided us a carrycot and even a highchair. Beautifully stylish apartment in a great neighborhood. Really warm and cosy. Spacious and with great facilities. Comfortable beds and lots of storage. Beatiful, well decorated, great location. Instructions to get the keys were very precise. Kitchen with all the basics, excpect a microwave. Laundry machine available. Very clean. The room was amazing! 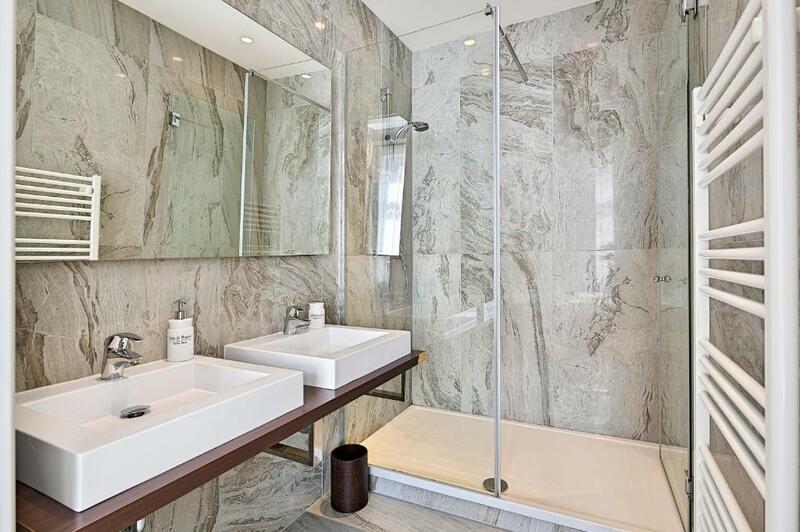 Spacious, super clean and tidy. An apartment with details. The location is good too. 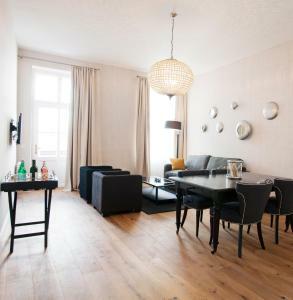 15min walking distance to Graben street. Variety choices of foods just downstairs within 5-10 min walking. Highly recommended! Great space and well located. Nice building with contemporary upgrades. Comfortable bed and furniture. The location of the apartment couldn't be better: it is in a very quiet area but at the same time just 15 min walking from the old town. There are plenty of great restaurants nearby as well as two U-Bahn stations. The apartment itself was great: very spacious and clean, we had a huge terrace where you can chill on a hot summer evening. It was super easy to get the keys to the apartment from the key box as we arrived quite late. The instructions were detailed and easily understandable. Extraordinary clean, quiet with very fast internet. Extremelly comfortable bed, shampoo & soaps provided. Kitchen very well stocked. Furniture very comfortable. Host very responsive, called about a/c and elevator and issues corrected promptly. Great location in Spittleberg. Would definitely recommend. Close to major attractions, most everyday conveniences included. Lock in a great price for 6 rooms - 1070 – rated 9.3 by recent guests! 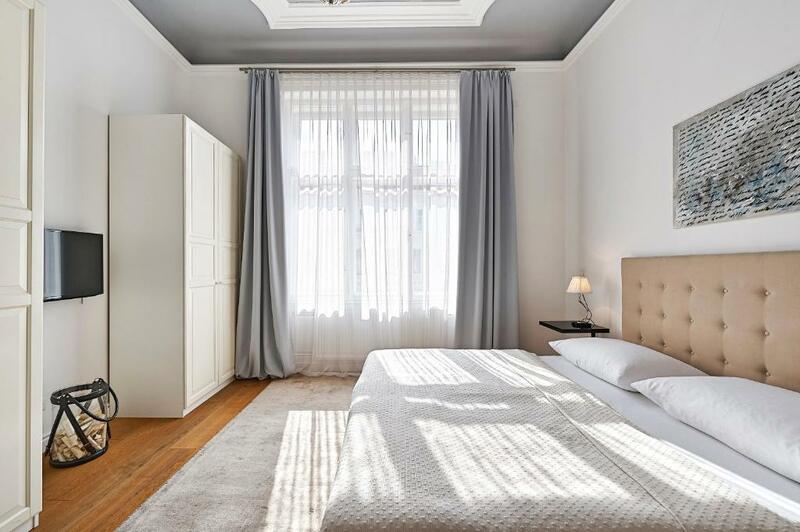 One of our top picks in Vienna.Located in Vienna’s vibrant 7th district, 6 rooms 1070 offers modern accommodations with amenities like a flat-screen cable TV and free WiFi. The underground station Volkstheater (lines U3, U2) is a 6-minute walk away and the city center can be reached within a 10 to 15-minute walk. All of the bright apartments are equipped with new air conditioning, stylish furniture and consist of a kitchen with a dishwasher and a fridge, a bathroom with a shower, a hairdryer, and a living area. Bed linen and towels are provided free of charge. 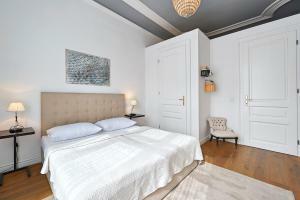 6 rooms’ building comes with an elevator and the apartments are fitted with wooden floors. The Museumsquartier and the Mariahilferstraße Shopping Boulevard can both be reached within 10 minutes on foot and the Spittelberg Christmas Market is a 5-minute walk away. Restaurants and supermarkets are a 5-minute walk from 6 rooms - 1070. When would you like to stay at 6 rooms - 1070? Modern and stylish apartment with a living room featuring a flat-screen cable TV, free WiFi, courtyard views, a kitchen with a dishwasher, and a bathroom with a shower and a hairdryer. Modern, spacious and stylish apartment with a living room featuring a flat-screen cable TV, free WiFi, street views, a kitchen with a dishwasher, and a bathroom with a shower and a hairdryer. This apartment has 1 bedroom, a fully equipped kitchen with a dining area and a patio. This building was built in 1900, with high ceiling and stucco from the the time. We are a family run company, who have been welcoming guests from all around the world for many years. Neubau is located near the center of Vienna and was established as a district in 1850. It is known as one of Vienna's districts with the youngest, most liberal, and urban population. There are many restaiuants and bars and is an important shopping district, especially in the Mariahilfer Straße and Neubaugasse. Johann Strauss II (1825–1899), was born here. House Rules 6 rooms - 1070 takes special requests – add in the next step! 6 rooms - 1070 accepts these cards and reserves the right to temporarily hold an amount prior to arrival. Depending on your arrival time, check-in will be done in person or you will have to pick up your key from the key box. Please note that the photos show examples of apartments. 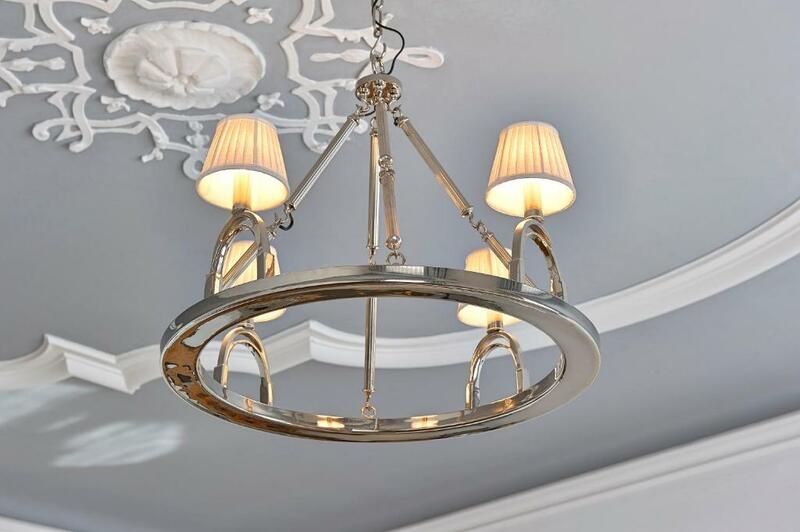 The apartments are all individually decorated, and your apartment may look different from the photos. Please note that the guests are responsible for any damage caused in the apartment. Please inform 6 rooms - 1070 of your expected arrival time in advance. You can use the Special Requests box when booking, or contact the property directly using the contact details in your confirmation. The apartment is quite big and very pretty. Location is pretty great as well. Very bad WiFi, all time problem with connection. Great location. Comfortable, well-equipped and generously sized flat. Good value for money. 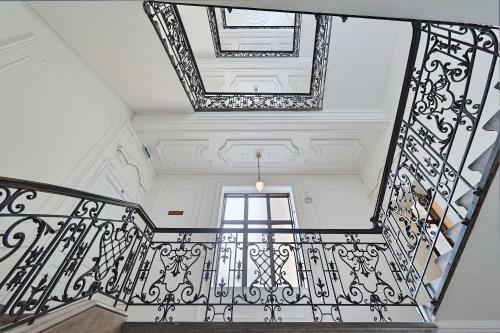 Great apartment, old fashioned styled building, central position in the 7th District. Confortable and cozy accomodation for a 4 days staying. Morover they eased all our requests. Top. Nothing it perfectly met our needs. 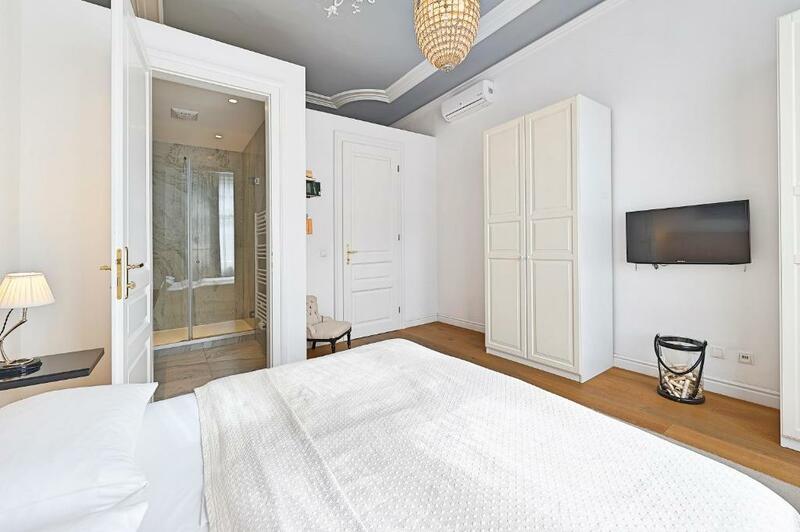 Fantastic location within walking distance from (almost) all major sights in Vienna and close to several convenient public transport options. 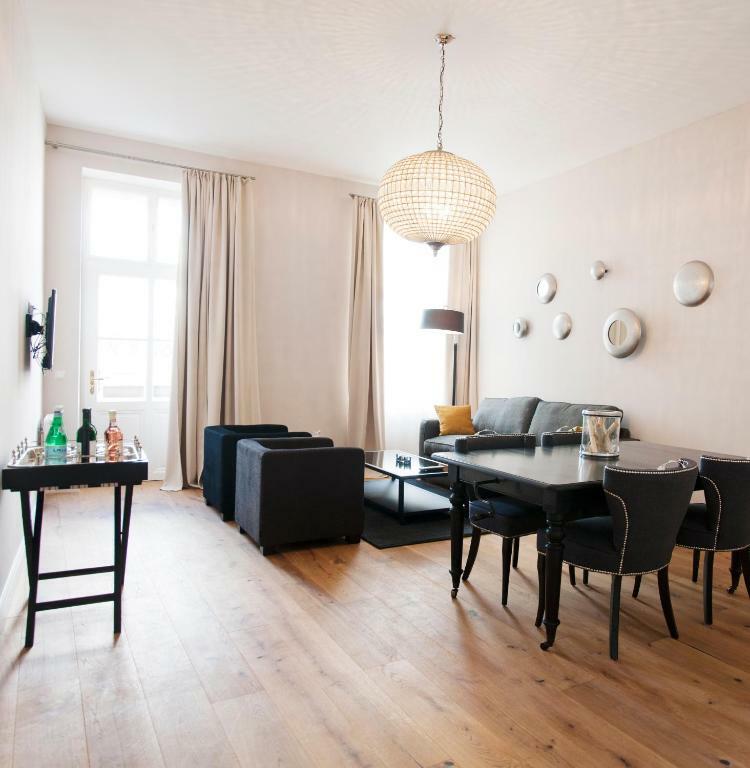 A traditional Viennese apartment in a beautiful old building with high ceilings and large rooms and well equipped with everything you need. Also a short walk from the Naschmarkt where you can buy delicious provisions and wines if you want to eat at home and surrounded by several nice eateries and cafes if you don’t. Very nice, perfect for family with children. Good location, walking distance from the center. We stayed for 4 nights from 10 Nov 2018. Bed is a bit soft and squeaky...either the bed frame or mattress needs to be replaced? Pillows are way too soft. Asked and given extra pillows but still had to fold 1 pillow and placed it on top of 1 flat pillow. No safe. Nespresso machine available but only 4 capsules provided. Extra capsules are chargeable I think. No change of towels. 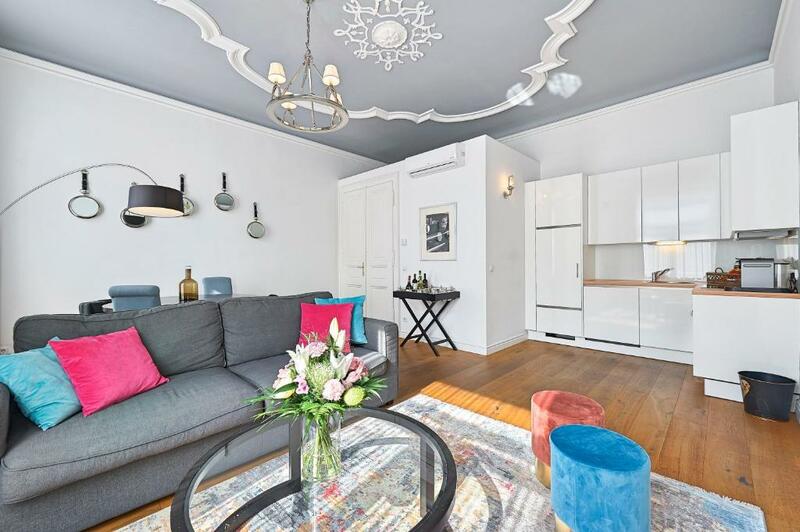 Very stylish apartment with everything we needed ie fully equipped kitchen, washer with detergent, ironing board, great shower, good hairdryer, TV channels, comfy sofa.